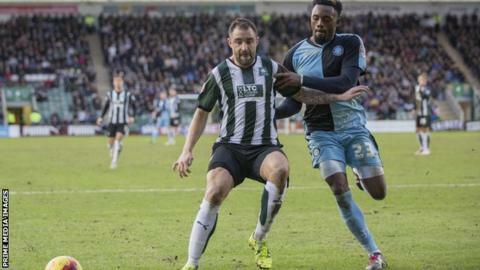 Plymouth and Wycombe have both been fined by the Football Association and warned about future conduct following their League Two match on 30 January. The Chairboys won the match 1-0 thanks to Gozie Ugwu's goal. Both admitted to a charge of failing to ensure players behaved "in an orderly fashion" around the 41st minute, and one in relation to players/and or officials' behaviour at full-time. Argyle have been fined £3,000, while Wycombe must pay £2,500. Plymouth chief executive Martyn Starnes told the club website: "We were afforded a very fair hearing by the FA, who fully took into account our version of events. "However, we were warned as to our future conduct after a similar incident at Exeter last February, and the FA looked at our five-year record which they described as 'very poor'. "These factors were also taken into account and were contributory factors in inflating the amount of the fine which we would otherwise have received."